We offered a charity bet to all of the main party leaders, and the only one to take us up was Nigel Farage. He’s had his £500 on Soll at 20/1, with any proceeds going to the RNLI. Funnily enough, that was the horse I was planning to back. Not sure whether to be pleased or not that Nigel agrees with me. I ought to point out that I don’t remember backing a Grand National winner since the 1980s. For political science groupies, the selection has to be Bob Ford at 50/1. I don’t think the horse was named after Manchester University’s Rob Ford, co-author of the excellent UKIP study Revolt on the Right, but I could be wrong. 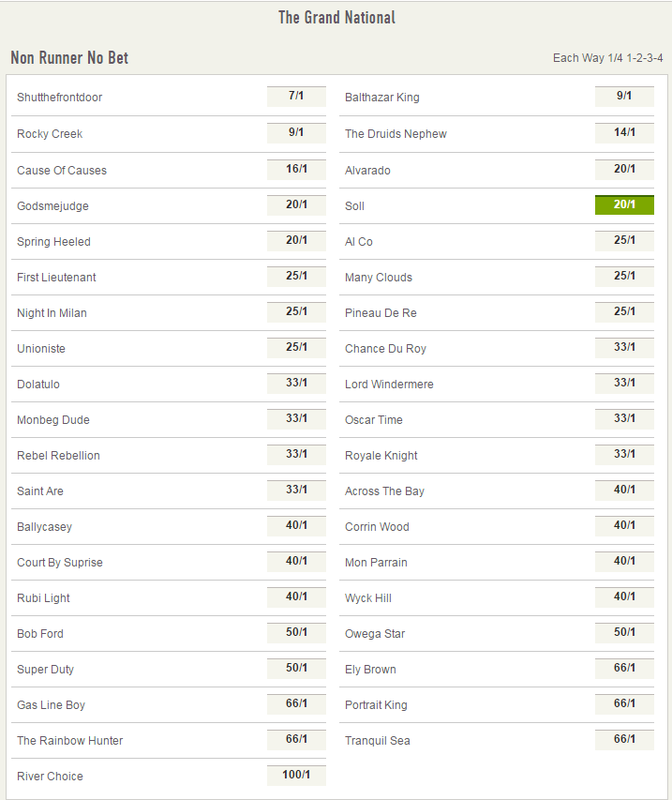 If you fancy a bet, you can find the latest odds on the big race here.